Blunder my a$$. This thing is as solid as a Japanese office building. 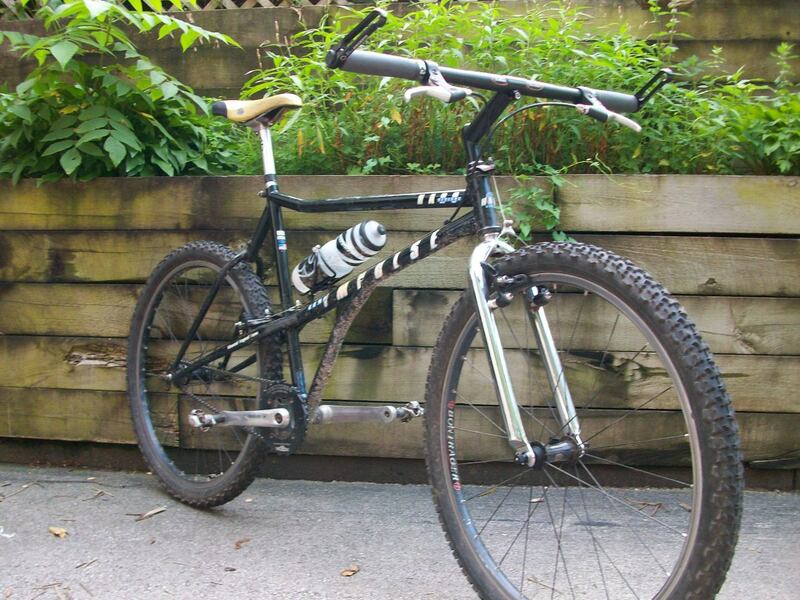 Here's the Haro Extreme, circa 199-something. eBay for $30 or so a few months ago. I'm sorry, but that is simply too cool. Keep an eye on the brazed joint where the right rear dropout meets the right chainstay. My 1990 Nishiki Alien broke at that spot as did others. Your Haro was built in the same factory around the same time. That happened to a Nishiki Alien I had. I think it was the Nishiki's brake design. Where'd you get that sweet sticker? Another nice, old school bike! 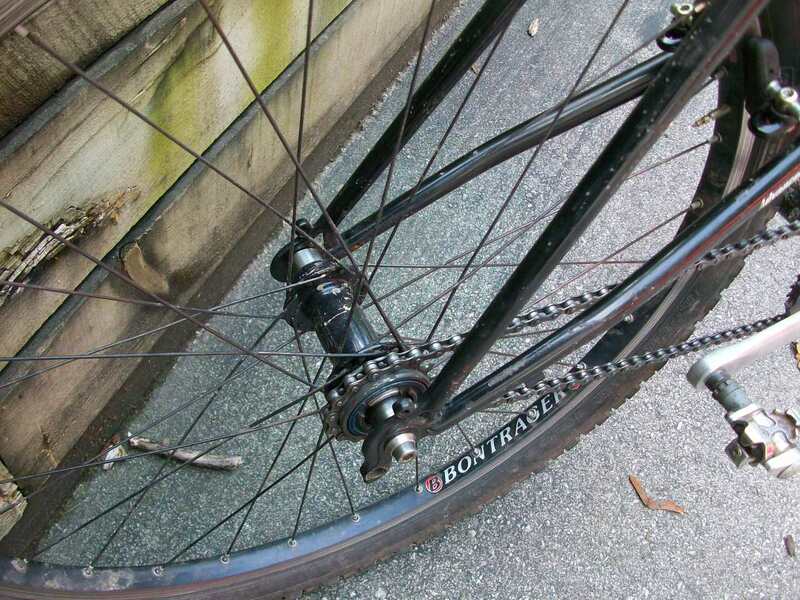 if you want that real retro look, i have a Shimano u-brake i'll sell you for a few bucks. 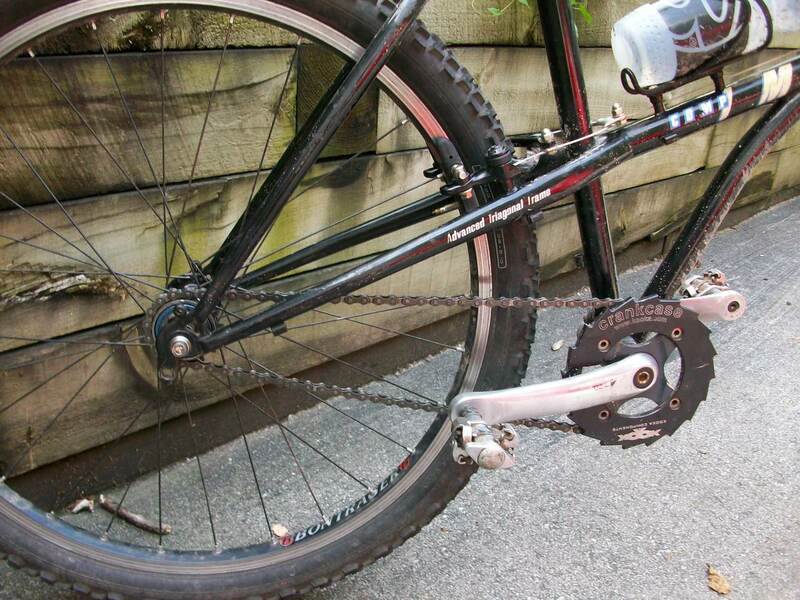 A belt wouldn't work on that frame, even if Erno could get a freewheel with a "belt cog" instead of a chain cog. It's not that (although that is another problem), it's the frame. My roommate has a custom belt bike (Spot) and there needs to be extreme tension on the belt to keep it from slipping. 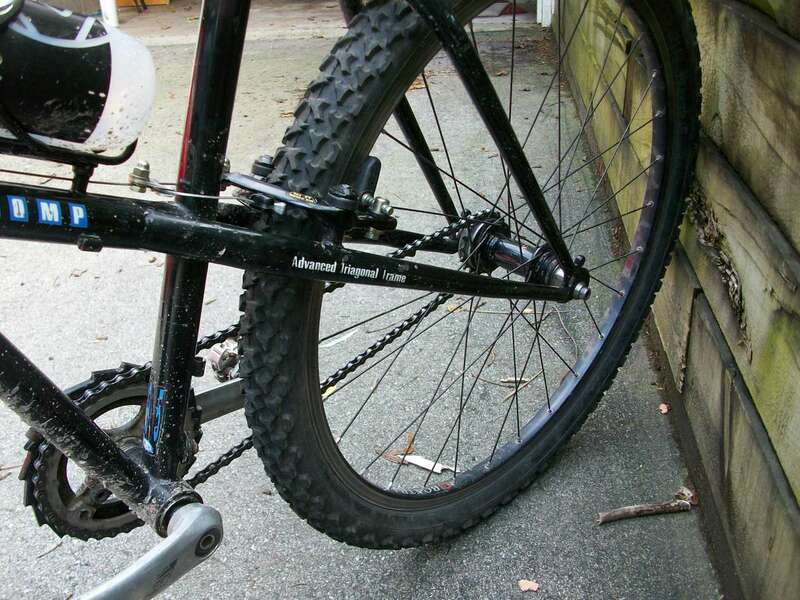 Even with a chainstay running directly between the rear hub and the bottom bracket, it's not enough on my buddy's frame because heavy torque on the cranks creates enough frame flex for the belt to slip. It only happens when he's really cranking up really steep pitches, but the situation is real and it's common on belt bikes. 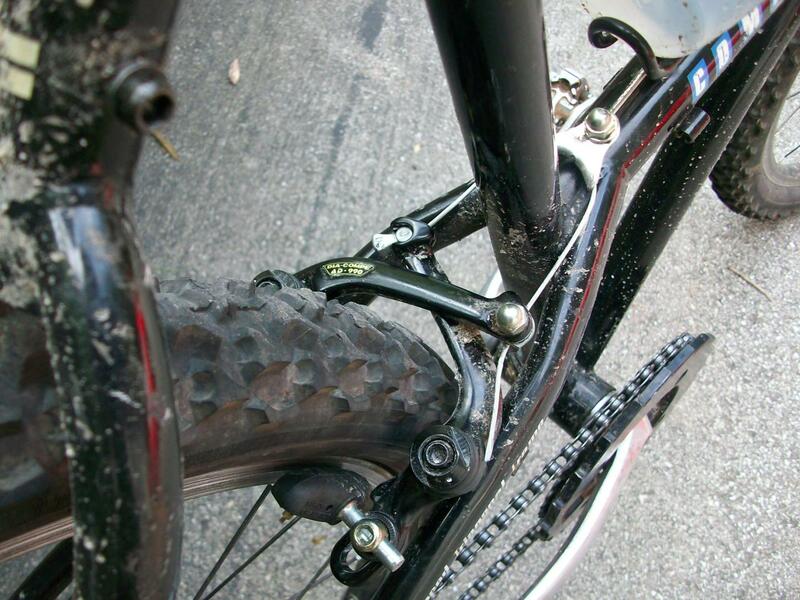 Ernesto's frame would allow far too much frame flex for a belt to work, even if he could solve the other challenges. Can't remember where I got the sticker. 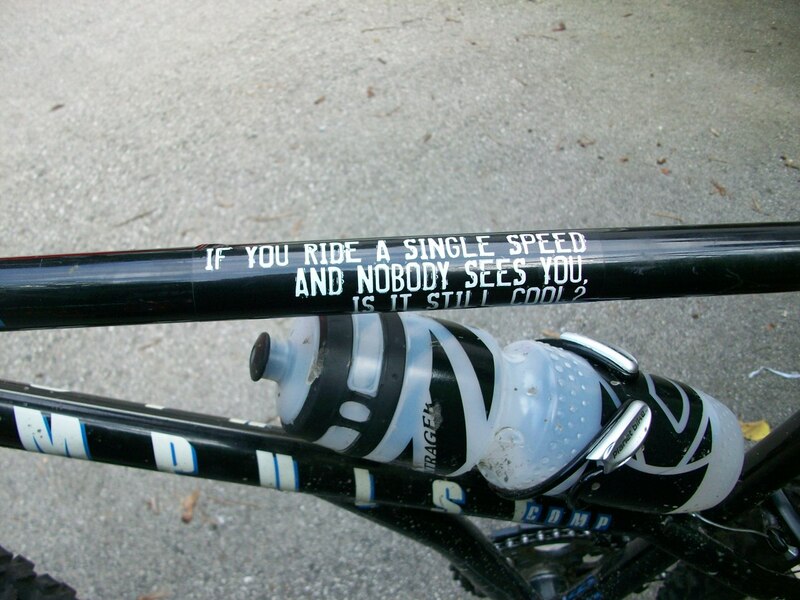 I saw the white, blue, green version being ridden by a 40-something Soccer Mom around the Grand Canyon. I asked if she wanted to sell but she thought I was making fun of her and rode off in a huff. Hell yeah! I had a 92 Extreme Comp that was Hi-Liter yellow/green/pink. 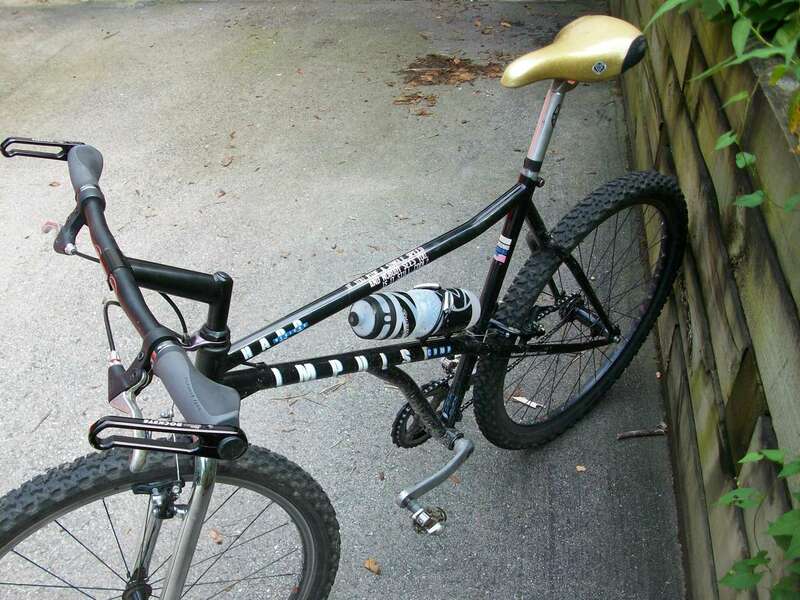 Such a rad bike, but I literally never rode it and got tired of tripping over it so I sold it for more than it was worth.